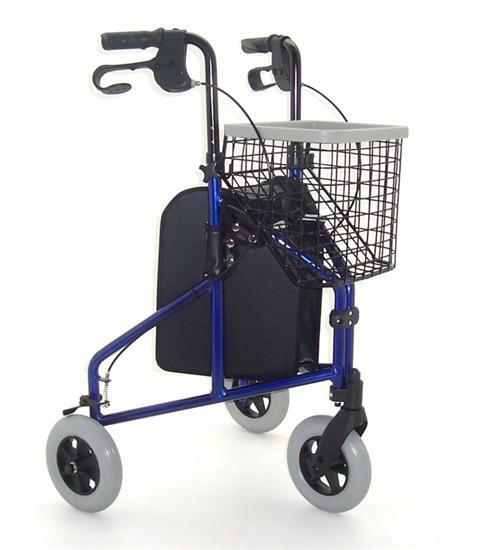 This three wheel walker has been designed to be lighter and easier to use – and it has some amazing features to boot! Its puncture proof balloon tyres make it easier to manoeuvre, and allow it to run smoother even over even rougher surfaces. Whether you’re popping out to the shops or out for the day, the detachable tray, basket and bag mean you can take so much more with you. 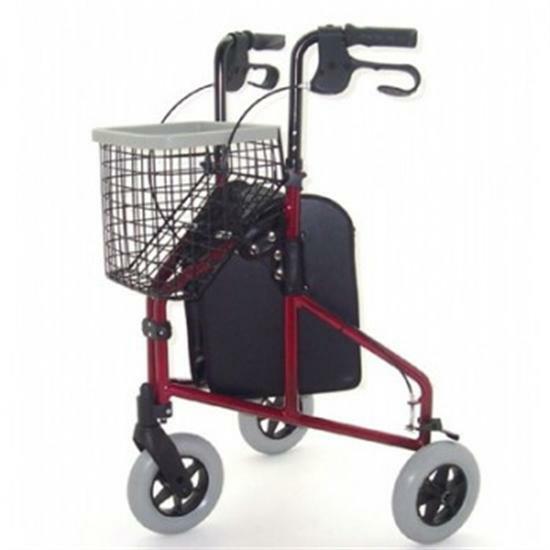 And unlike some other lightweight three wheel rollators, this has height adjustable handles and loop brakes for safety, it also folds neatly for storage or transportation. Includes detachable Bag, Basket & Tray. Well made. The handles were very slightly loose, even when the clamping knobs were fully tightened. This does not affect safety in any way as the handles are secured by a nut and bolt. Very pleased with my purchase. Beautifully light and is helping me to walk well following a stroke. Just a bit complicated to put the handles on and get to the right height with uncoordinated fingers! Have got them at different heights so will have to have another go! A lightweight yet sturdy walker that folds up to fit in the boot of my Ford Focus. The wheels are large and roll well over the usual lumps and bumps you find on our fine pavements.